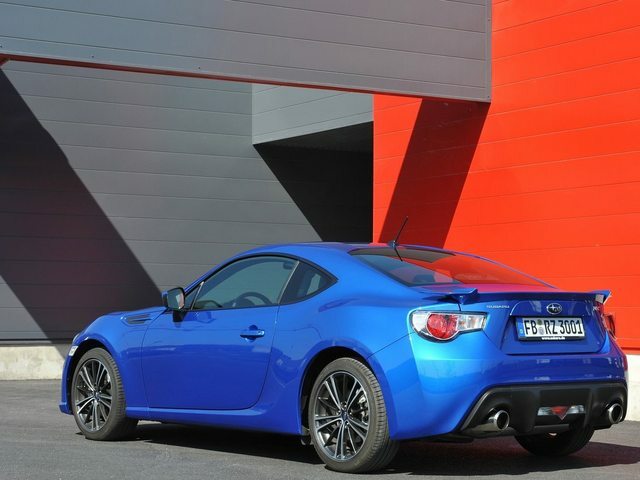 The purpose of this thread is to discuss the BRZ/FRS's aero. 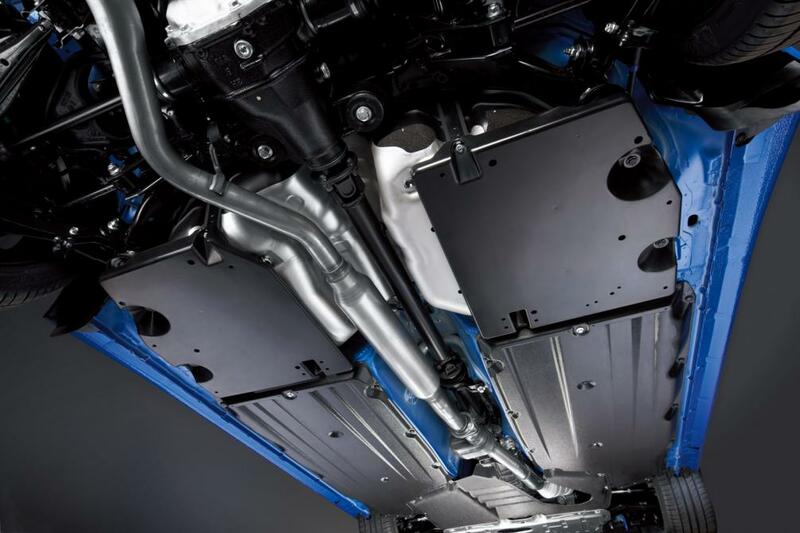 The JDM underpanels help smooth out the air under the vehicle by making the underbody smoother. A smoother underbody means that there's less turbulence, thus decreasing drag. Theoretically, this can reduce wind noise, improve gas mileage, and increase top speed. Here's a picture of the JDM underpanel. While reading about aero diffusers, it appears that the underpanels may have another benefit. That benefit is increased downforce. The reason I say may create additional downforce is because it depends on whether or not the rear diffuser is actually functional. In other words, the air at the back needs to increase in pressure/decrease in velocity in relation to the air underneath the vehicle. When equipped with the underpanels, air can travel at a greater velocity because there's less turbulence. When the air reaches to the rear of the vehicle, a diffuser will can slowdown the air by "diffusing" it. Essentially, the vehicle is being pulled down due to the difference in air pressure. The video below explains how diffusers work. Here's a picture of the BRZ's rear diffuser. From the picture above, it appears that the BRZ's rear diffuser has a small angle to increase air pressure/decrease in velocity. However, it's not clear whether or not it's functional in producing downforce. Last edited by ayau; 01-19-2013 at 03:06 AM. At first glance, I think the panels are mainly there to reduce drag coefficient, evidenced by Subaru's findings, but by themselves don't constitute enough to produce noticeable downforce. The car itself is high off the ground and a lack of side skirts would let lots of air from the side of the car rush into the bottom. Lends me to believe that the stock rear "diffuser" is a cosmetic feature more than a functional one. What I found interesting was the TRD Griffon uses the JDM underpanels in conjunction with there custom panels and diffuser. The mid section would probably be cheap while the CF diffuser would be expensive. Mid section actually looks easy enough for any shop to fab. Only thing that worries me about the mid section is that the diff might overheat without the proper air. I'm under the impression that any difference in pressure (air over the car vs under the car) will create some sort of downforce. The greater the pressure difference (the lower the car), the more downforce created. Also, for those that like to install super wide sticky tires, you may want to consider the aerodynamics. Tires the poke out of the fenders will create turbulence. You can Google why you don't want turbulence around your vehicle. There are two solutions that I can think of. Option #1 may not be feasible for the autox crowd due to modification restrictions. However, since autox doesn't usually exceed 40mph, the extra turbulence created is probably negligible. There's a small hole in the back. I think that may be where the differential gets cool air. I think CSG_Mike brought that up in one of his posts. I think it would be interesting to see how much an aggressive wheel and tire package affects the aero of this car. I'd also be interested in finding out the balance between maximum tire grip while retaining (or even improving) the car's aerodynamic qualities. with a car this slow, it is almost a guarantee that the advantage in mechanical grip gained from tire is more advantageous than whatever you are trying to accomplish with aero. downforce is drag no matter how you slice it. the net result might not always show that but thats because nobody is talking about lift. once you realize that an f1 car has a cd of 1.5-2.5 and a prius has a cd of .25, it becomes a little more apparent where the priorities are in performance cars. An F1 car also has a much MUCH greater amount of horsepower as well as something like... 8x our power to weight ratio. You'd be surprised how much speed the car can carry through turns. Aero is a larger factor in this than most people think. Crude example: I can take a high speed sweeper faster in our BRZ with 225 tires, than I can in my S2000, with aero, with 255 tires. The S2000 has more power, and similar weight. i am not downplaying the importance of aero. if anything i know how significant it is since i ride road bikes. there is no better way to come to appreciate that than being your own engine. at speed you can tell that like eighty percent of your work goes into fighting the wind. i was simply saying that if i had to chose between sacrificing mechanical grip for a reduction in slipperiness, i would do it. especially with 200 hp. If it works anything like an airplane wing, a smooth underside means higher pressure air going by, as it is smooth, this would decrease the wind resistance and promote lift, not downforce. To have a proper discussion about aero we need to clear up a few things. First, we're dealing with lift. 'Downforce' is negative lift. So until all aero enhancements are working together to create negative lift, there is zero downforce. Downforce and lift are not independent forces. You have coefficient of lift. Once it goes negative you get 'downforce'. Second, drag and lift have a complicated relationship. Sometimes one can be adjusted without the other being affected. Sometimes not. The drag to neg lift ratio is referred to aero efficiency. So while an F1 car has high drag, it also has ludicrous downforce. But that doesn't mean that we can't modify to get both a lift AND drag reduction. What we've found in our testing is that additional mechanical grip generally is wasted, when you're already WOT (which is a LOT with this car). the only reason i bothered mentioning the lift/downforce thing is because cars are shaped like aerofoils and have lift inherently. i think its important to talk about them separately because at any net amount of lift (positive or negative) you can have any drag coeffecient. adding downforce and removing things causing lift can be different. there is some confusion going on here. we arent talking about the same things. i understand the importance of downforce and the grip that is provided. i was addressing the thought that running smaller tires would be a good idea in order to keep the drag coeffecient down. i was just saying that i would rather have mechanical grip over dropping a hundredth or so off the cod. i also think aero grip is equally wasted if you are going wot. there are many people running around in miatas with 275s and in nearly every situation the miata with 225s is faster than the one with 195s. i do get your point though but wonder if it might be turning into a historical kinda myth. i think newer compounds are making the optimal tire width greater than they used to be but thats just speculation on my part.